Take a look at that post and see how the activity developed. What we were left with was a bluish-green sludge.After the kids turned the fake snow into a moss green color, they added more water. Way too much water than the recommended 2 oz/scoop of Insta Snow. 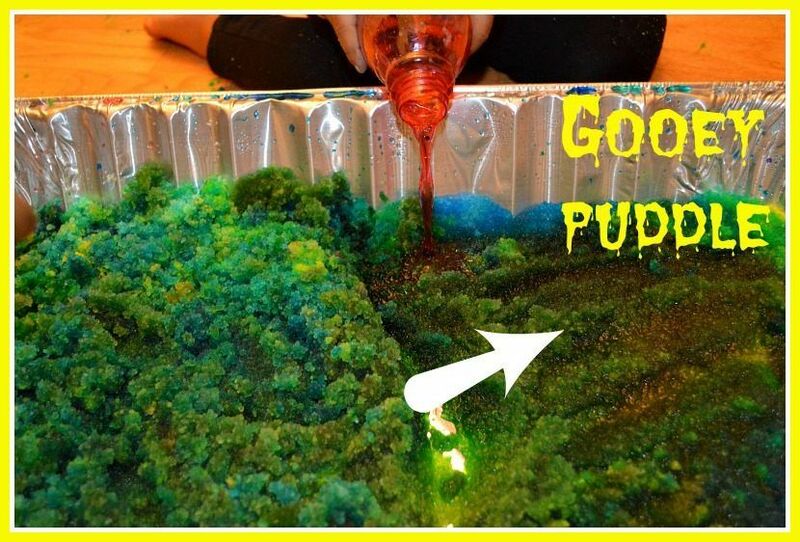 At the end, we created a green gooey moss like substance which was sticky enough for the kids to have a fantastic time with some amazing sensory exploration thrown in. The painting activity turned into a sensory activity since we are big fans of sensory activities.The Insta Snow couldn’t absorb all the water added and it turned very gooey and the girls were able to made it into a ball. 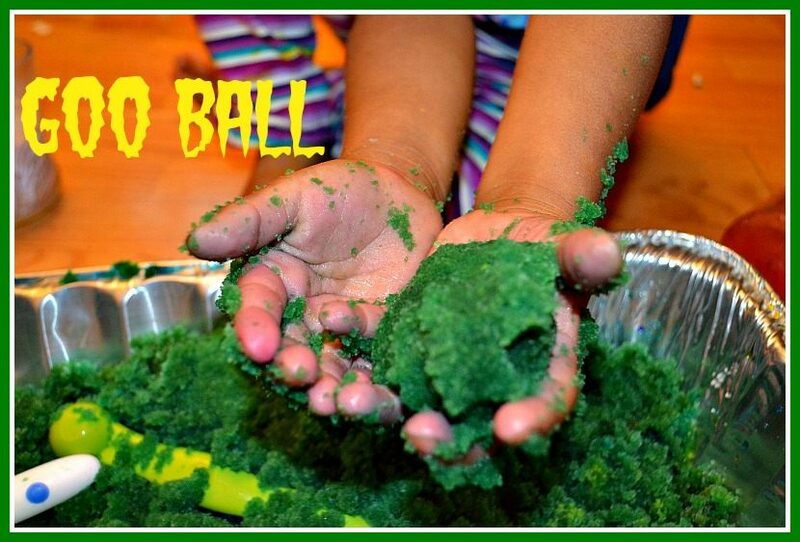 It is not exactly moldable that you can create shapes with it but it is easy enough to make a ball and that was interesting. It was great for Big A to see that the outcome to 2 different scenarios. 2. Break the rules! and add too much water you get goo. 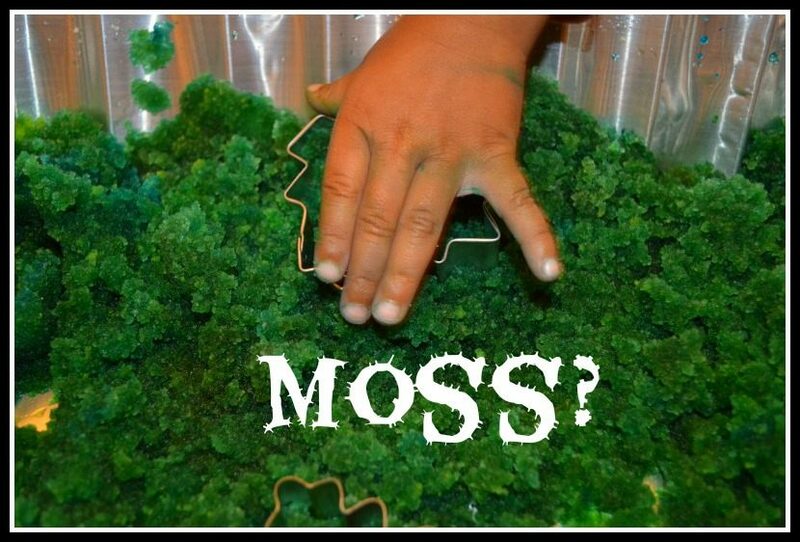 Here we have our own DIY moss for all kinds of pretend play and small world set up. Messy play lover, my younger one had a grand time squashing with spoons, with her hands and generally exploring the texture of the new material. The material they had fun painting with turned totally different with excess water. 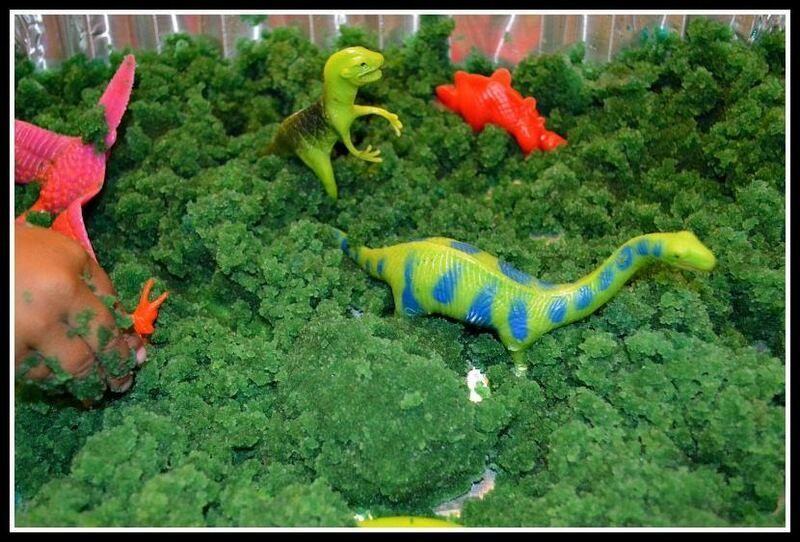 That’s our “DIY” moss which could serve as a base for numerous small world set ups. Almost naturally, Big A ran off to get her dinosaurs to create a scene.. Oh!” “creating scenes” is all the rage in our household now. 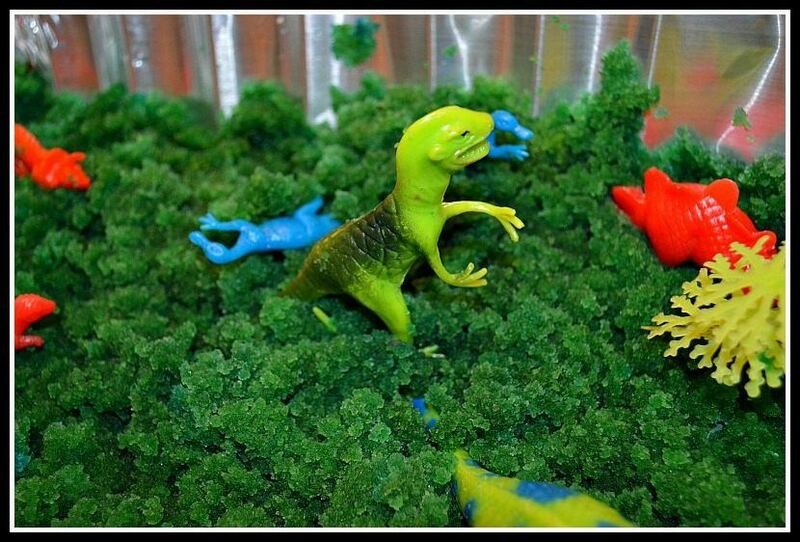 Then the girls were lost in their “ Land before time” imaginary play. 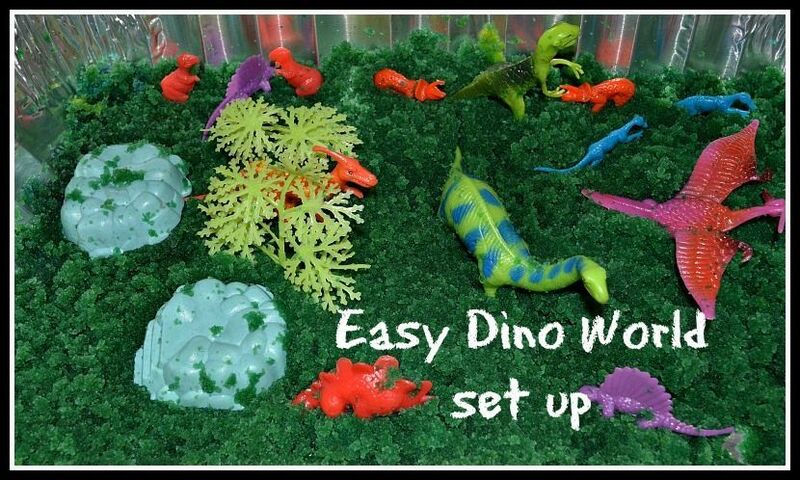 Talking, bonding and of course squabbling over which way is the best way to set up the dinosaur scene. Caution: Make sure you cover the floor with a mat/tarp because this stuff is slippery if you are doing in on a floor. 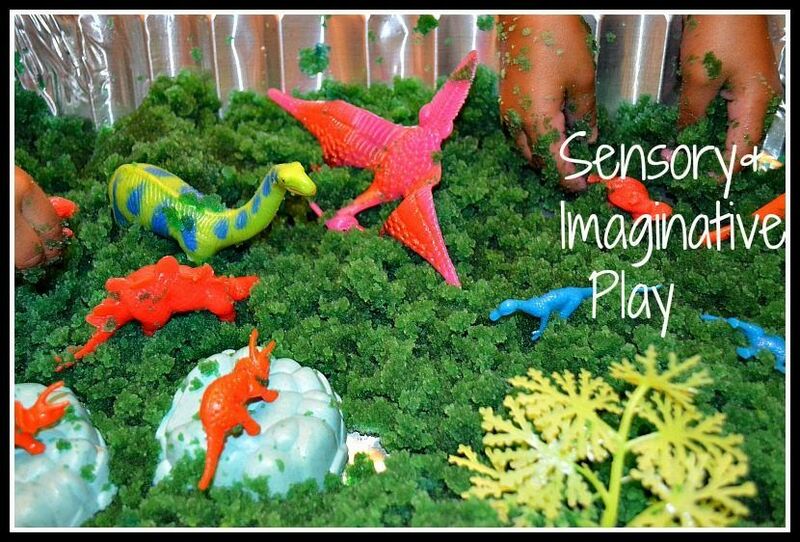 what a GREAT sensory play you set-up! 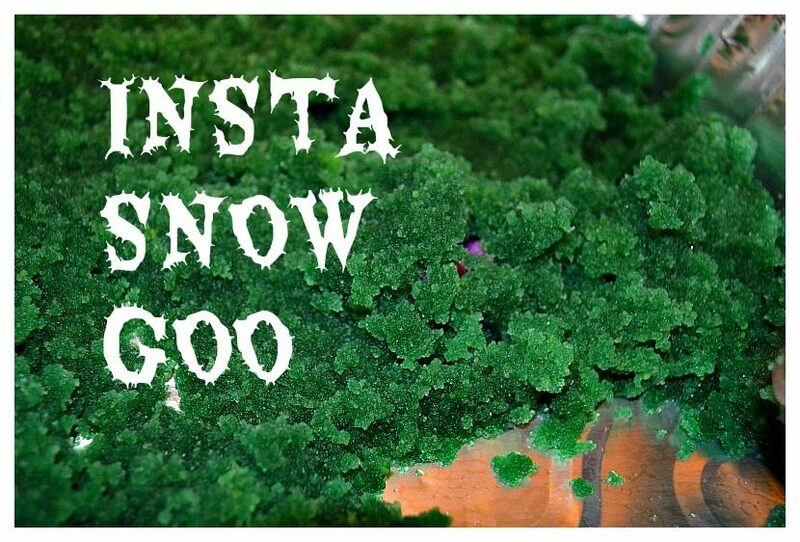 Insta snow is some fun stuff and you really had fun with it. Thanks for sharing on the Sunday Showcase – pinning this to our group board.